IS VIJAY 61, AR RAHMAN’S FIRST SINCE PARASURAM? 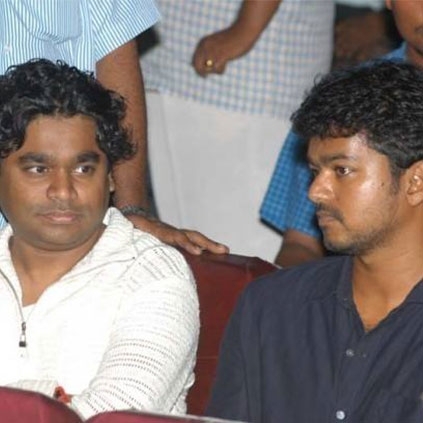 It is more than certain now that AR Rahman will compose the tunes for Vijay’s upcoming untitled film directed by Atlee. As reported earlier, Vijay is likely to don the Khaki yet again in the film. However, an official confirmation in this regard is yet to come. But if that being the case, it would be AR Rahman’s second cop film where the lead plays a fulltime cop in Tamil, after Parasuram. We are not considering AYM as the cop portion was just for 5 minutes. It is actually strange to know that a popular music director who has been in the industry for over 25 years has composed for just one full-fledged police story. This actually excites us more to know how AR Rahman would compose background score for a cop movie. Nonetheless, AR Rahman has worked in other languages cop stories like Komaram Puli and Super Police in Telugu and One Two Ka Four in Hindi. People looking for online information on AR Rahman, Vijay, Vijay 61 will find this news story useful.